What is the Great Tribulation & When Will the End Times Happen? In Luke 21 Jesus preaches a sermon about the End of the World. The end of the world is easier to comprehend when we can compare it to the world around us. That is what Jesus does. He points to things they knew and said amplify that, multiply that-exponentially, then you will understand what is coming. Basically Jesus describes a Global Final Holocaust-not merely of Jews and Christians-but of humans! Within that message is what amounts to a survival guide to believers who have to exist during the Final Holocaust. 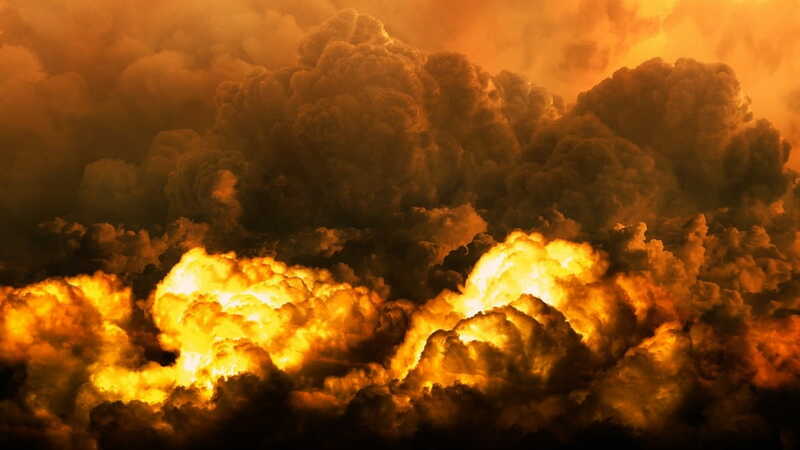 Will Christians Experience the Great Tribulation? Although the believers He is addressing are Tribulation saints, Jewish believers, and those saved through the ministry of the 144,000 Jewish evangelists and the Two Witnesses-the lessons have deep implications for us living in the days just prior to those events. For us today, Christ's words are a call for us to be ready for the onset of the worst time in history. It will begin after the Church is raptured, but the climate of the Tribulation is already here. Are you prepared to survive the storms before the final storm? Several years ago across the world, dignitaries marked the 60th Anniversary of the liberation of the grisly death camp complex called Auschwitz. About 1.5 million people died at Auschwitz, of whom about 1.2 million were Jewish. That means that 1/5th of the six million Jews exterminated by Hitler died in this complex. Other groups of people who died included Polish political prisoners, Soviet prisoners of war, Gypsies, people with disabilities and prisoners of conscience or religious faith. The complex contained three camps and at least 36 sub-camps which were built outside the town of Oswiecim, on an isolated 40 sq km site, between 1940 and 1942. There is an incredible comparison that can be drawn from Auschwitz and the Great Tribulation. • Most scholars see the first half of the seven year final period of the earth's history to be relatively normal. It is the second half that seems to have the incredible destruction, demon armies and death. So in Bible terms, the Great Tribulation lasts 3 ½ years or 42 months. • Auschwitz opened its doors to death by gas chamber on September 3rd 1941. The advance of the Soviet Army closed down the camp on January 27th 1945. The death camp of the Holocaust was operating for 3 ½ years or 42 months. • So the death camp at Auschwitz and the Great Tribulation last almost exactly the same length of time. That is where the comparison stops. The Final Holocaust is so terrifying, so deadly, so inescapable that God personally steps in to stop it lest not one human be left alive! In the Great Tribulation 2 ½ million die every day for 42 months. In Auschwitz less than a thousand died each day. That means 2500x as many people die every day. Or to put it in Auschwitz terms—the number of people that died every day at Auschwitz will die every 30 seconds in the Great Tribulation! Or in other terms living on earth will be like living in an Auschwitz death camp—and in death toll there will be the equivalent of an Auschwitz Holocaust twice a day for 42 months! One out of every two people will die during the Tribulation (see Rev. 6:8 and onward), some through the ravages of war, others by starvation, and amazingly many others by the 'beasts of the earth'. So, whether by death that comes instantly and thus less dreaded or a slow and painful death that is lingering and agonizing-50 percent of all people will die. The world's population was 6,415,574,176 yesterday, so that means at least 3,207,500,000 will die. That amounts to just about eleven times the current population of the United States-can you imagine that? And remember that the population of the world is doubling every 39.5 years. So every day the number of people who will die becomes larger and larger. One third of all vegetation will be burned up. All grass, every tree, everything green will be destroyed (see Rev. 8:7). The sun and the moon will be darkened as nature goes into revolt (see Rev. 8:12). The gates of hell will open and hordes of locusts, the size of horses, will come upon the earth. Those locusts will be allowed to sting men like scorpions and the pain will last for five months. The Bible says men will beg God to let them die but they will not die (see Rev. 9:3-6). There will be worldwide famine unlike anything the world has ever seen (see Rev. 18:8). There will be a world war so bloody that the blood of those killed in battle will flow for two hundred miles up to the bridle of a horse in the valley of Jezreel. This will be the Battle of Armageddon (see Rev. 14:20). All told, during the Great Tribulation, as many as half of all the people on the earth will be killed. Now do you see why God refers to the Rapture as a 'blessed hope'? Because the Tribulation to come is so horrible! But that means we are gone and will escape everything, right? Yes, exactly, we will miss every part of the TRIBULATION, but we will probably go through some of the worst days we have ever seen before it starts. And that is what Jesus is pointing out to us in Luke 21 where we open in God's Word today. In Luke 21 we see the end of everyone's life as it was. Time stops. Life ends. Nothing is the same again. Christ's Coming simply reveals what people have been all the time. Paul tells us later that "each man's work will become manifest, for the Day will disclose it" (1 Corinthians 3:13). Remember what we have already learned from Luke 21:36. - "Watch therefore, and pray always that you may be counted worthy to escape all these things that will come to pass, and to stand before the Son of Man." The dangers Jesus warned of are what His church has faced from the beginning. There have always been deceiving teachers, persecution, and disasters. But what He says is that each of these areas will increase and intensify as Christ's Coming draws near. There will be religious deception (Luke 21:8). "Be not deceived!" is Christ's admonition to us, and we must take it to heart. Use these Scriptures to gain wisdom and understanding of the End Times and to witness to those around you! How great a message we have for those who can escape the Great Tribulation!